Latoria (left) slugs in close as Gutierrez covers. 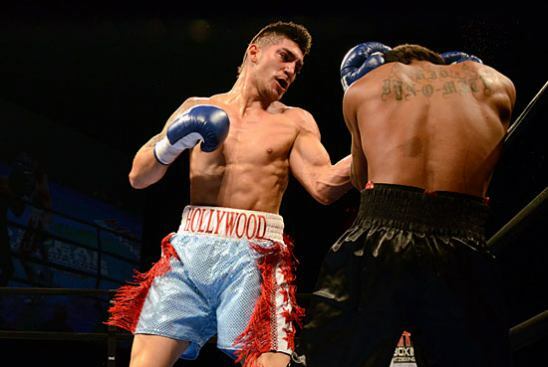 HAMMOND, IN, February 18, 2012 – Saturday night’s Hitz Boxing’s “Fight Night at the Horseshoe” at the Horseshoe Casino proved to be a night of high energy, heavy hitting, and daunting speed, which made for a great experience. 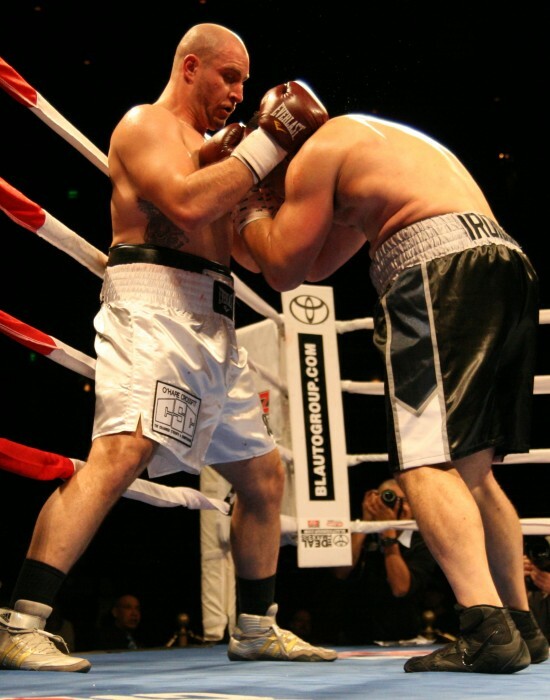 The main event fight featured the still undefeated heavyweight slugger David “Diesel” Latoria (10-0, 5 KOs, 217.2 lbs.) of Chicago, IL taking down, by unanimous decision, Edward “Ironman” Gutierrez (15-11-1, 6 KOs, 220.6 lbs.) of Oak Lawn, IL. The fight was scored at 60-55, 59-55, and 59-55 for Latoria, who won by unanimous decision. The fight was a battle to the final bell in which both fighters delivered big blows, leaving Gutierrez with a cut above his right eye. HAMMOND, IN, February, 9, 2012 — The undercard of Hitz Boxing’s “Fight Night at the Horseshoe” series, scheduled for Saturday, February 18, 2012, at the Horseshoe Casino in Hammond, Indiana, has been announced and a strong group of local fighters are scheduled for intriguing battles.